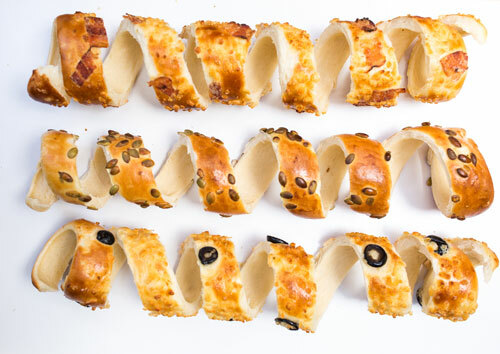 Have you ever tried a pastry with a 300-year-old recipe? 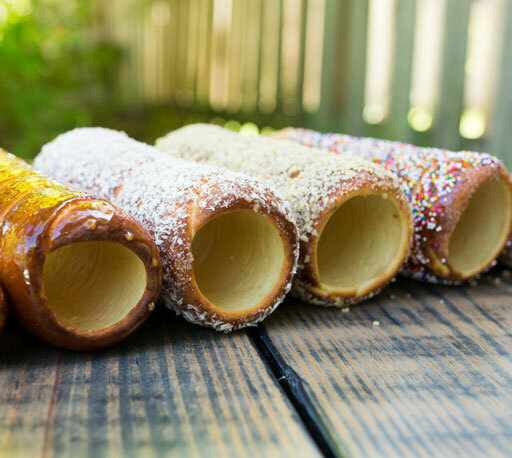 Chimney Cakes are known around the world as kürtőskalács, kurtosh, trdelnik, baumstriezel, or baumkuchen. 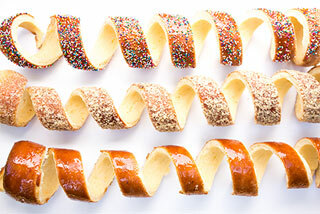 Our specialty is a handcrafted, uniquely shaped European-style pastry baked with all natural ingredients. Pinch it, tear it, break it, bite it. Repeat. Weddings, Birthday Parties, Family Reunions, Bridal Showers, Baby Showers, Corporate Events, Hostess Gifts, Party Favors and more. 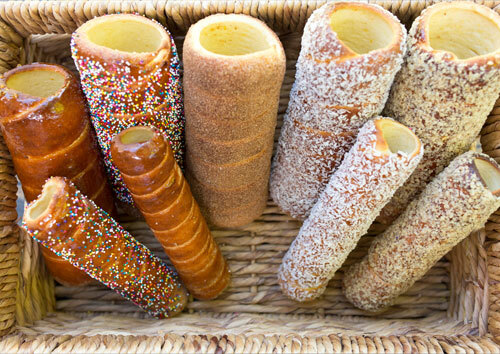 Kürtős Chimney Cakes come in many varieties. Need something sweet? Something Savory? 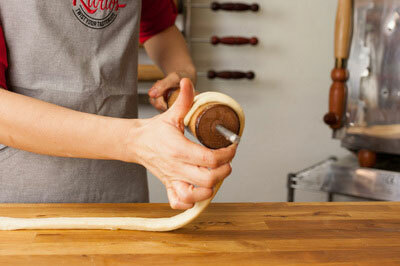 Kürtős Chimney Cakes are baked to order. You can place an order via tel/email and pick up at the market or at our store at UTC Mall Sarasota. Are you a foodie with an entrepreneurial drive, an outgoing personality and passion for baking? 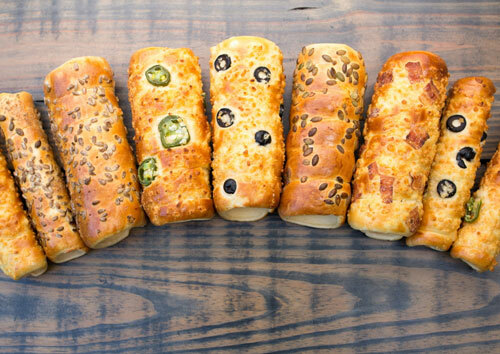 Join a successful, family run business and help us spread the love of this unique, delicious pastry across the nation. 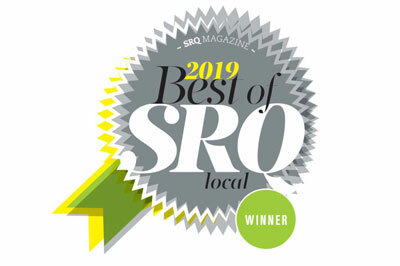 Thank you, Sarasota, for making us a winner of Best Creative Sandwich in Sarasota. Copyright © 2019 Kurtos Inc.